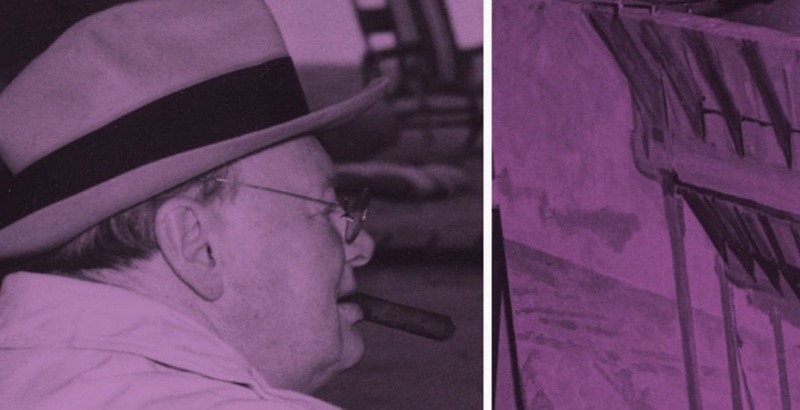 Churchill and the ‘Black Dog’ of Depression: Reassessing the Biographical Evidence of Psychological Disorder, by Wilfred Attenborough. Palgrave Macmillan, 2014, 264 pages, $90 (inexpensive used copies offered on Amazon), Kindle $85.50. How Black was His Black Dog? Eventually an erudite synthesis will capture all aspects of Churchill’s personality, including his mental health. Unfortunately this book focuses almost exclusively on his depressed moods, and does not address the relevant diagnoses that need to be considered, such as cyclothymic personality—the opinion of his neurologist, Lord Brain. It is also incredibly overpriced, although Amazon offers used copies. Churchill picked up the term “black dog,” a commonplace description by Victorian nannies for out-of-sorts children, from his childhood nurse, Mrs. Everest. Over the years, writers have made the most of it, beginning with psychiatrist Anthony Storr’s essay “The Man,” in the 1969 collection, Churchill: Four Faces and the Man. Conjecture since has led all the way to the theory that Churchill had a bipolar disorder. But none of these arguments are considered in any detail here. But we are not offered an adequate presentation of the full scope of Churchill’s dark moods. To conclude that he was vulnerable to mild depression compounded by worry and anxiety is not difficult; but anxiety is a common co-morbid condition of depression, and there are other conditions—alcohol intake, odd sleep patterns and the use of amphetamines (during World War II)—which should have been considered. Churchill: The Struggle for Survival 1940-1965, the alleged diaries of Churchill’s doctor Lord Moran, is well represented throughout, with an appendix devoted to Moran’s view of the grim weeks after Churchill’s defeat in the 1945 general election. Moran recorded the several conversations when his patient referred to “black dog” as, WSC described depression. But Moran was not versed in management of mental deficiencies, and certainly never referred Churchill to another physician, particularly a psychiatrist, which Churchill abhorred. (There is an intriguing discussion of Moran’s other book, The Anatomy of Courage, and how this may have colored his opinions.) Certainly Lord Moran provided (maybe prescribed) such a variety of uppers (amphetamines) and downers (Phenobarbital) that Churchill kept them in a pill box and sometimes took as he saw fit. Attenborough seems to equate Churchill’s depression only with anxiety, ignoring other levels or sources. He concludes that the problem was mild, without providing a definition in behavioral terms, or considering dysthymia or the SAD (Seasonal Affective Disorder) syndrome. Churchill’s last private secretary, Sir Anthony Montague Browne, told me that on a gloomy, overcast London day his boss might say: “Let’s go and find the sunshine.” This often presaged a trip to the south of France, where the sun would alleviate Sir Winston’s SAD syndrome. There he could indulge in oil painting, which so insulated him from his troubles. Churchill himself admitted that painting was a sure antidote to his predisposition to dwell on the dark side. There has been much dispute about Churchill’s confessed fear of railway platforms or the sides of ships, suggesting a predilection towards suicide, and how they might connote deep-seated anxiety or panic attacks. After considering these, Attenborough attributes them to “mental overstrain” (Churchill’s words in his book Painting as a Pastime). The absence of an explanation of Churchill’s mood disorders is disconcerting in a book assessing psychological disorders. It is not mentioned here, but even Randolph Churchill observed the frequency and range of his father’s mood swings, and discussed them with a psychiatrist, Dr. Fieve. Colleagues such as Brendan Bracken and Lord Ismay commented on Churchill’s dramatic changes of mood, not always associated with any specific event, during World War II. There is passing reference to the work of Doctors Ghaemi and Norman, whose books concluded that Churchill’s alleged bi-polar personality was an advantage in his role as prime minister during World War II. But there is no deep analysis of those works. Was Churchill’s indomitable mental resilience and courage in 1940 only possible because of a hypomania that drove him to a work schedule which often exhausted his generals and the war cabinet? The answer to that question is not here. What are we to think about Churchill’s “black dog”? He definitely had episodes of “the blues” or melancholy. His daughter Lady Soames insisted that the dog was usually “kenneled,” except after devastating reverses in battle, and that “the things he went through would depress anybody.” She believed he was able to alleviate those moments with his absorption in work and painting, and through a devoted wife. Never, she declared, did they seriously affect his performance as a war leader and statesman. This was not however the case during her father’s second premiership (1951-55). But by then he faced the compounding factors of TIAs* and strokes affecting his executive and cognitive skills. * Transient ischaemic attack: a brief episode of neurological dysfunction resulting from an interruption in the blood supply to the brain or the eye, sometimes as a precursor of a stroke. Dr. Mather is a physician executive who has spent many years in research for a book on Winston Churchill’s medical history.